Potential energy is all around us. 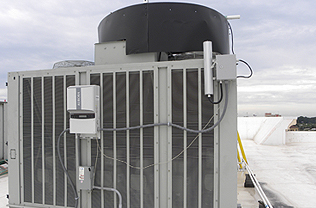 Commercial Building’s HVAC, chillers, fresh air circulating systems, heat pumps, and exhaust systems all produce air movement, or ‘artificial wind’. 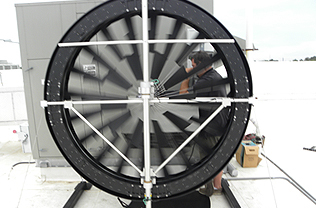 ERS utilizes this artificial wind to produce consistent renewable energy when it is needed without the need for storage. In a simple explanation the air flow from the mechanical system is directed to the face of the Turbine by a shroud or manifold. 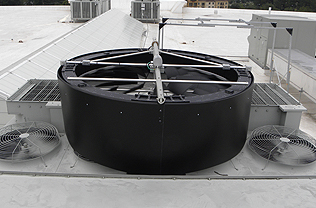 This air flow works as artificial wind to produce power or energy while the mechanical system is running. 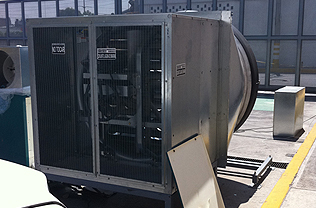 HVAC, chillers and the other systems usually require large amounts of power and the ERS can reduce this significantly by ‘recycling’ the exhaust air into clean energy to be used by the mechanical system. The amount of energy produced varies with the system. 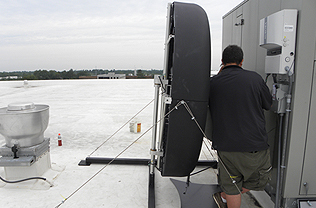 Utilizing this manmade wind we have produced between 2000kWh to 26,000 kWh per year. That’s enough to power up to 4 average homes in the US for one year. 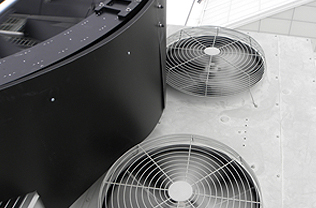 With the TERS equipped to your air management system you could produce power right back in to the grid, or the air handling equipment for significant savings and power production. One of the biggest criticisms of “green” is that it is unreliable, that it only produces energy when the sun shines or wind blows and that isn’t always when the energy is needed requiring the energy to be stored. 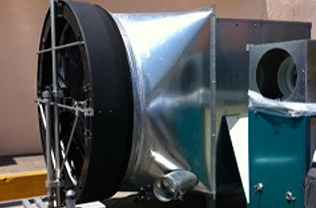 TAM’s ERS uses the mechanical system exhaust so it produces power when the mechanical system is running. 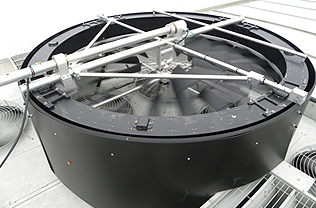 This energy can immediately be used without storage in the mechanical system eliminating the need for storage or long transmission lines. Very efficient use of the produced energy. 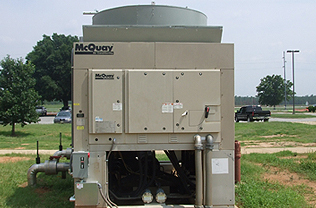 Call us today with the make and model of your mechanical system and we can give you an estimate of the power production, rebates, incentives, and potential for an ERS at your facility. 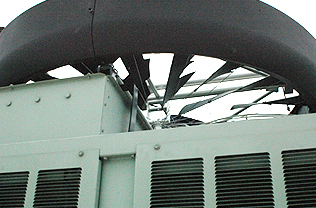 Discounts available for multiple Turbine installations. 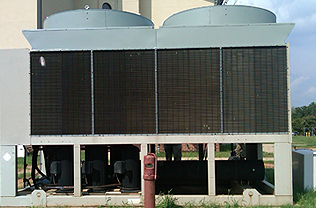 Reduction in invertors required, and installation costs. In the US, Canada and Puerto Rico unit sold as Honeywell Turbine by TAM and comes with 5 yr limited warranty. 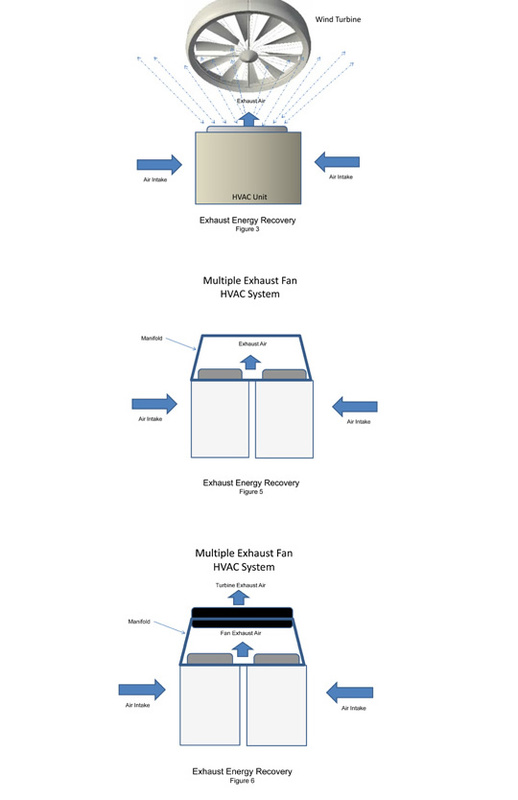 Testing and certification of system for power production and draw vs. benefit on system. 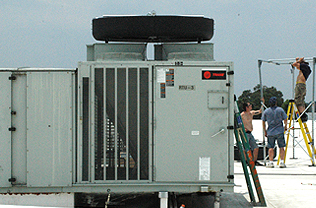 You don’t want to have to worry about maintenance and that’s why there is no mechanical maintenance required. 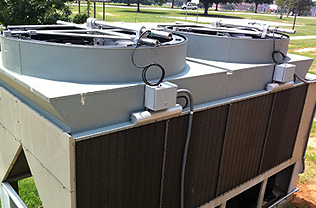 During the annual maintenance already performed on the HVAC or other mechanical clear leaves and debris from the manifold or shroud and that’s it. No gears or motors so there is nothing to maintain. Tested for cold, heat, salt, chemicals, sand, and dirt. 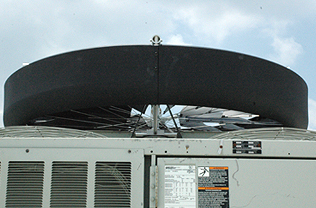 Maintenance is very minimal and efficiency doesn’t lower with time like solar system.